"The Soul Runner is the first of many more to come. It is named after my uncontrollable spirit of producing art every time I do or build something. 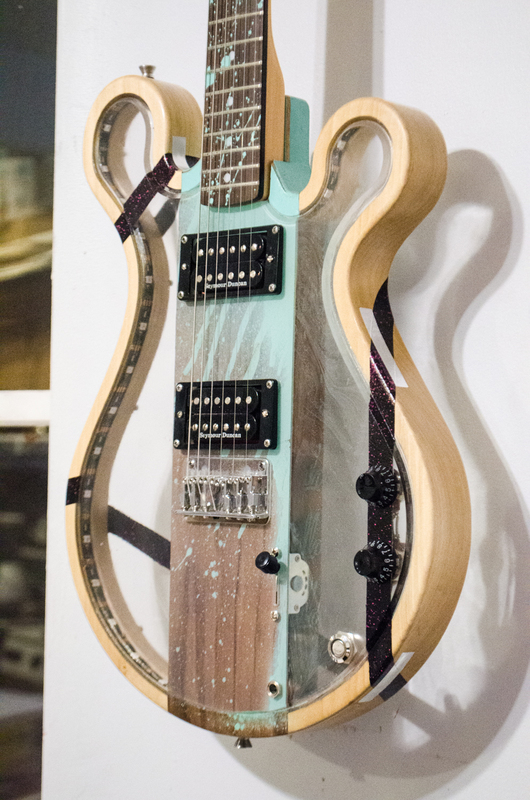 I wanted to create a series of guitars that not only would look cool, but also have a soul right out of the gates of our Boston studio. It looks like we're off to a great start." The cool thing about working with an artist, is that you can ACTUALLY work with him. Love our Soul Runner but have a favorite color? Maybe a favorite tone wood? PIckups? You name it! 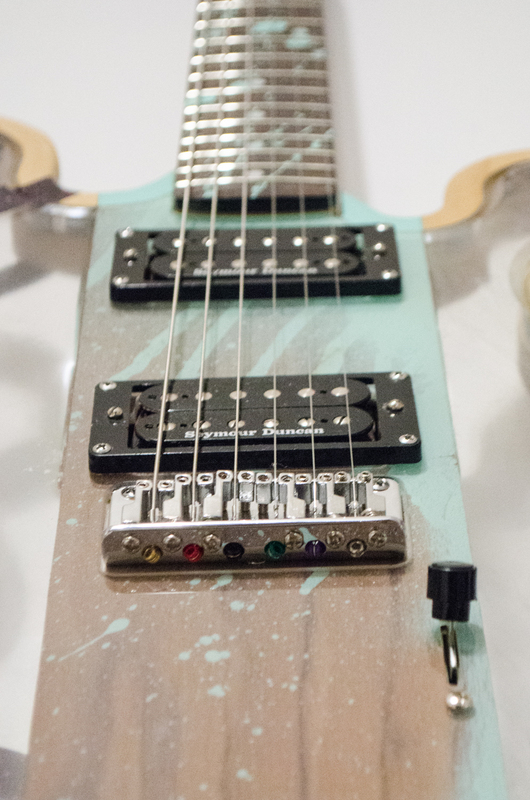 Here are some of the iterations you can make when you order an Artist Signature guitar. You are a very important part of this limited run, and we will work with you on giving a spirit to these guitars. Can it get any better than that? 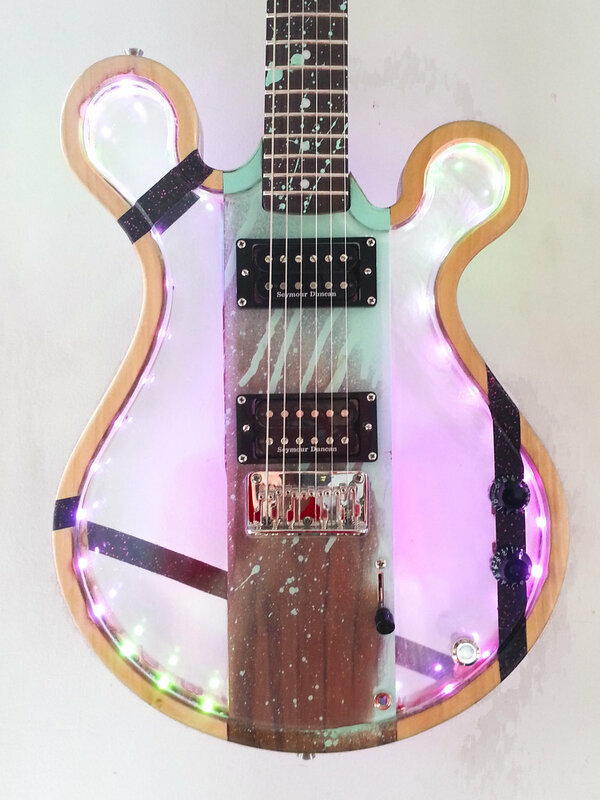 Choose one color to substitute for the paint splatters and the detail logos on the inside of the guitar. Everything that's on our beautiful Mint-Green will now be your favorite color. Looking for a warmer tone? Mahogany is the way to go. Anything bright? Ash is the go-to. Anything exotic? Walnut's pretty cool. You get to choose two wood types: One for the body composition and one for decoration, which is the wooden stripe that runs through the middle of our Soul Runner. Tell us what you are looking for: Pickup references, a different bridge model or some cool volume and tone knobs. We'll hook you up. If you never ask, you'll never know. Ready to Light Up The World? If we still have a button for it, we have at least one left!